Our veteran Flag Case - is Hand made by Veterans. 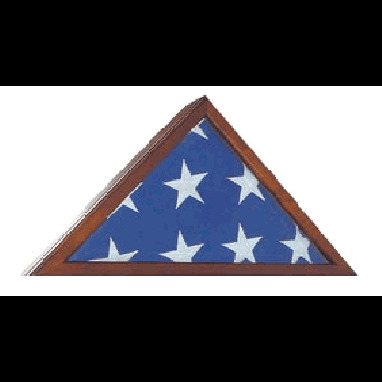 The veteran Flag Case is a top selling solid wood flag case that is made in the USA. This beautifully crafted case is available in solid Cherry and is designed to hold the 5' x 9.5' Burial Flag. Solid cherry wood . Beveled glass front . High quality crafted hinged lid for easy flag insertion . Magnetic closure lid . This case is designed to hold a 5ft x 9.5ft flag. Dimensions: 26"(W) x 13"(H) x 4 3/8"(D) . Engraving is no additional charge . Made in the U.S.A.